From Chef Chloe: an eBook collection of ten recipes from her wildly popular first book, Chloe’s Kitchen, for creative, delicious party foods that just happen to be vegan. The vegan diet has gone mainstream—and Chef Chloe is here to help. Since she became the first vegan to win a reality TV cooking show, Chef Chloe’s devoted fan base has been clamoring for more of her healthy, inventive recipes that follow a plant-based diet. Featuring easy-to-prepare, festive vegan recipes with absolutely delicious flavors, this short cookbook is the perfect purchase for your holiday preparations. The ten perfect party recipes include Artichoke-Walnut Pesto Crostini, Kalamata Olive Tapenade, Avocado-Shiitake Sushi, Garlic Knots, and Sweet-and-Sour Party Meatballs. 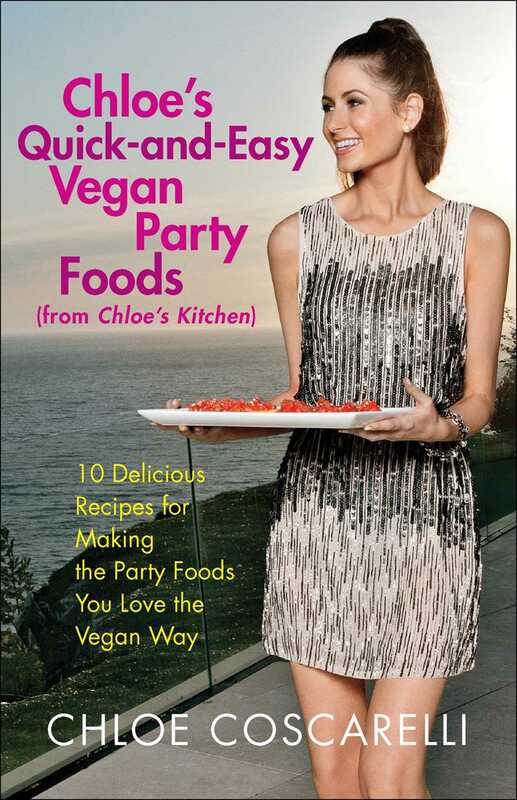 With beautiful photography and crystal-clear directions, Chloe’s Quick-and-Easy Vegan Party Foods provides recipes that are sure to please vegans and non-vegans alike at any holiday gathering.